The Malt House of San Antonio, Texas was demolished in May, 2018, and it’s a sad story, but I find also an optimistic story. The sad part is that we’ve lost an architectural treasure that the grassroots community strove to preserve. The optimistic part is that the community organized, spoke up, researched, and presented evidence in a way that is compelling and shows that we will, in the near future, start turning the tide and continue to preserve our heritage. This is a record of the efforts by the members of the Westside Preservation Alliance, San Antonio, . 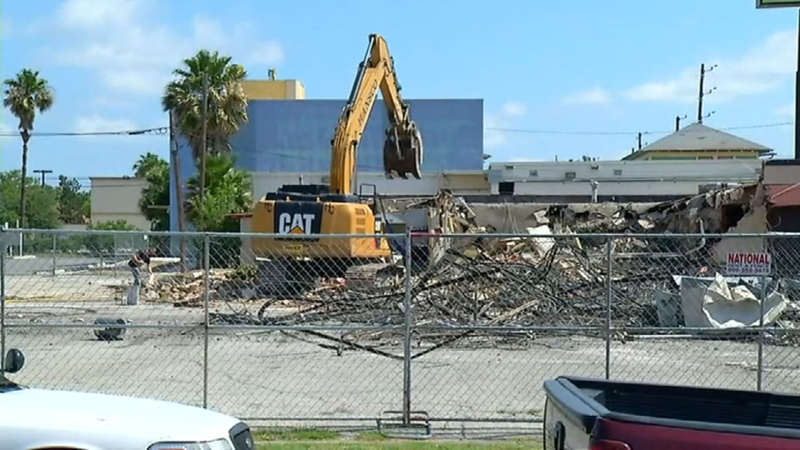 The Demolition of the San Antonio Malt House began on May 30th, 2018. In 2013 the City of San Antonio had declared the Malt House a historic landmark, yet the San Antonio Historic and Design Review Commission did not agree with community members to stop the domolition and find a solution that would prevent its destruction. The Malt House is no more, but history will show that the community did confront those in power and sought to preserve our memory and heritage. The documentation that the Westside Preservation Alliance presented to the San Antonio Historic and Design Review Commission, makes the case for preservation of the building. Two of their documents follow below. Very special Gracias to Sarah Z. Gould, Westside Community Museum Coordinator at the Esperanza Peace and Justice Center for sharing these two important documents. Tangentially, I’d also like to share my recipe for picadillo because the Malt House used to serve soft tacos de picadillo I used to go there and savor them with my parents. The Malt House was a favorite place for them, and for me. Click Here for the Recipe for my Picadillo. The minutes do not include the text of her presentation which follows here. Cultural identity and cultural landscape where the language, values, social systems and folk ways of the working class bilingual/bicultural Mexican American community in which it is located were enacted. A cultural extension of home, where one could speak both English and Spanish, greet friends and family with an abrazo, where presentation of self was understood and respected, that nurtured a sense of family and community. It was the pivotal reference to one’s physical location in the West Side, which everyone immediately understood precisely because everyone identified with the Malt House; it represented a common, community identity. 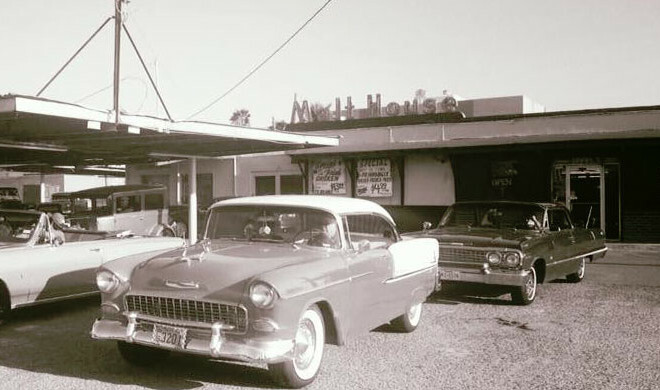 The Malt House, the first and only restaurant that had canopied in-car dining and, for a long time, the only restaurant in the area to serve both American and Mexican food; elements that spoke to, helped shape, and nurtured the community’s bicultural identity. Feeling: The structure represents a sense of community well-being. A public place of business, it evoked a sense of home precisely because everything about it was like us. It reflected our own working class aesthetic and cultural sensibilities; it was familial and familiar, an inseparable part of personal and family histories; it holds our memories. 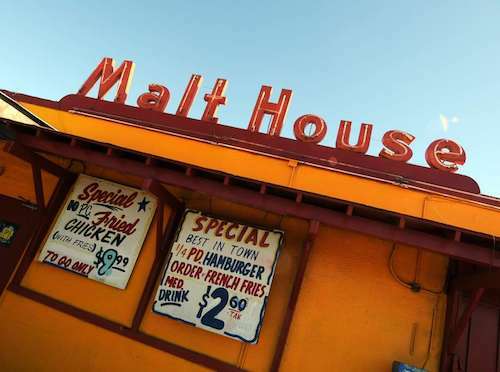 Association: The Malt House is associated with many influential Mexican American politicians and community leaders, including Henry Cisneros and Mary Alice Cisneros (Pérez) who gathered there on a regular basis. It is associated with important leaders, campaigns and grass roots political activity from the 1950s to the 1970s. On behalf of the members of the Westside Preservation Alliance, a communitybased historic preservation organization dedicated to preserving and promoting the history of San Antonio’s Mexican American and working class communities, we write to express our firm opposition to the proposed demolition of the former Malt House at 115 S. Zarzamora St. and request that HDRC uphold the spirit and meaning of the building’s historic designation status and deny the request to demolish what has already been affirmed by the City of San Antonio to be an historic landmark. Beginning in 2009, the Westside Preservation Alliance worked with the Office of Historic Preservation to identify and document potential historic landmarks in the Westside, an area that has long been neglected by the Office of Historic Preservation. Through these efforts, City Council designated twenty-two Westside properties as local historic landmarks on March 21, 2013 including 115 S. Zarzamora St. It is distinctive in character, interest or value; strongly exemplifies the cultural, economic, social, ethnic or historical heritage of San Antonio, Texas or the United States [35-607(b)11]. While the Malt House recently closed its doors, the closing of a business in no way reverses a historic landmark structure’s cultural or historical significance. Indeed, businesses come and go in landmarked buildings all the time. Kaufman, in his letter to the Office of Historic Preservation dated September 28, 2016, wrongly claims that the site’s significance has nothing to do with the building and therefore the building should be allowed to come down. That a car-hop’s structure is described as insignificant to its history is simply preposterous. Furthermore, of the hundreds of historic landmarks across the country that celebrate a significant person, event, or historical heritage, whether or not a famous architect built the associated structure, that structure is the embodiment of the significance of the site. Thus, if you demolish an historic landmark you have essentially killed the landmark. As you know, there is no justification for removing the historic landmark status of 115 S. Zarzamora St. as the structure that is representative of the site’s significance continues to stand, but demolishing the building would erase its history – it would erase its “value as a visible reminder of the cultural heritage of the community;” it would erase its “physical characteristics that make it an established or familiar visual feature;” it would erase “its distinctive character [that] strongly exemplifies the cultural, economic, social, ethnic or historical heritage of San Antonio” – all three of the criteria under which the property was designated. That the Office of Historic Preservation is supporting the request to approve demolition of 115 S. Zarzamora St. demonstrates how the history and culture of San Antonio’s Westside continues to be devalued and belittled by outside entities. Furthermore, it represents the OHP’s willingness to negotiate the meaning of historic designation, and this is a violation of the public trust. That this icon of our community would be torn down to build a 7-Eleven is all the more insulting to our cultural heritage as well as to our city’s approved historic designation guidelines. That the address would potentially maintain historic designation even after the building is demolished would be a violation of why the designation was granted in the first place, it would be a violation of the spirit and meaning of historic designation, and most concerning it could allow the developer to benefit from historic tax credits meant to support the existence of historic buildings and not to benefit new construction over a demolished landmark. Finally, offering to save benches, signage, and canopies – mere garnishes to the main dish – is a demeaning interpretation of the building’s historic designation and its significance in the community, just as offering to build a 7-Eleven that mimics the design of the extant structure is a bizarre Walt Disney-esque fraud. What is the message when a building is deemed more than qualified for historic designation, but three years later a potential 7-Eleven is enough to violate the spirit and meaning of the designation by demolishing the building? Are these the principles by which OHP & HDRC operate? Where is the credibility? When did integrity go out of style? unacceptable. The structure located at 115 S. Zarzamora St. is representative of more than one business. It is representative of tradition, values, and community. It is unfathomable that a structure with such a rich history – a history that has been previously acknowledged as significant in this very room – would be demolished to make way for a 7–Eleven. We ask that you vote to deny the request to demolish 115 S. Zarzamora St.